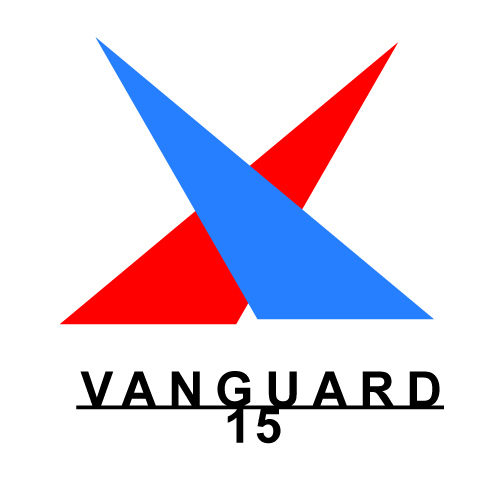 Vanguard 15 - fastest growing one design fleet at LNYC! The Vanguard 15 is a popular one design racing dinghy designed by Bob Ames. It is a double-handed monohull sailboat with a sloop rig. Ideally the combined weight of the crew is between 270 lb and 340 lb and both members hike off the boat to keep it flat. Its design allows it to plane while sailing upwind in 12 knots of breeze or more. **Page still under construction, contact Jason Blair for more details.